When size <i>doesn’t</i> matter, these small towns win. Michigan has always been larger than life—from Ford to Ted Nugent, from Sleeping Bear Dunes to that extra piece it swears isn’t Canada. The Mitten State’s tendency to go big isn’t a secret, and Benzie County—a collection of quaint towns on the state’s western coast, south of Traverse City—is no exception. Although it’s the smallest county in Michigan, it makes up for its lack of land with enough breathtaking views, brisk lakes, and good food to put it right up there with the biggest and best Michigan has to offer (see: Bob Seger). Layers are a Michigan must. Coat, sweater, hoodie—whatever your preference, your style should be warm. Bring a good camera to capture the leaves and sunglasses to protect the peepers from the sun reflecting off the water. The drive is roughly eight hours and the majority of it takes place on I-75. This is good news for those who like a straight shot, bad news for people who dislike endless construction. You’re going to want to put on some Motown to get you in the Michigan mood—and through Toledo. But fear not: The last hour and a half on the road is two lanes of pure wilderness on M-115, making up for the other six in spades. Breakfasting: Located in the heart of the coastal town of Frankfort, Crescent Bakery is the perfect way to start your morning, especially if your definition of perfection is coffee with a side of bear claw. Of note: The one-room bakery has splashes of UK decor, so Newport and Covington folks won’t feel far from home. Indulging: The Cherry Hut is a Benzie County staple. It first opened in 1922 and has been dishing out pies filled with the state’s signature cherries ever since. Cap off the night with a slice (or, pending your week, an entire pie) accompanied by vanilla ice cream. 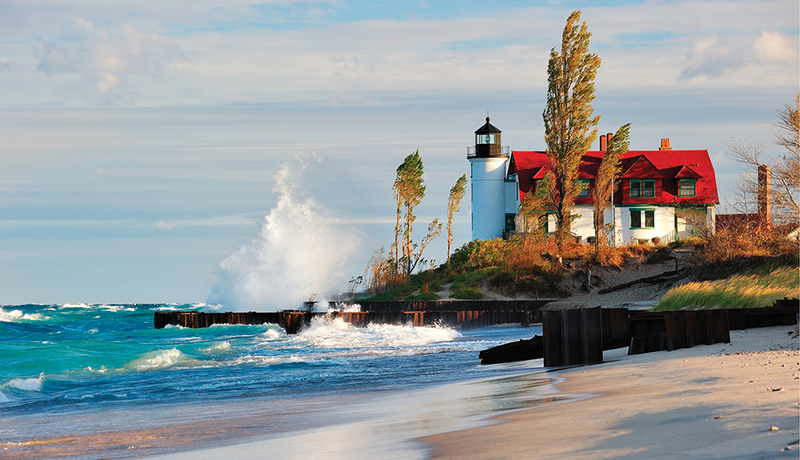 A few miles north of Frankfort up M-115, Point Betsie (with the county’s landmark lighthouse) is the archetypal Lake Michigan beach, fit for watching the sun coming up or going down while you skip rocks into the water. Sunrises are good for seclusion-seekers, while sunsets are more crowded, but still enjoyable. If you want something more active, put on some sturdy shoes and get ready to spend the next few hours inside what might as well be an L.L. 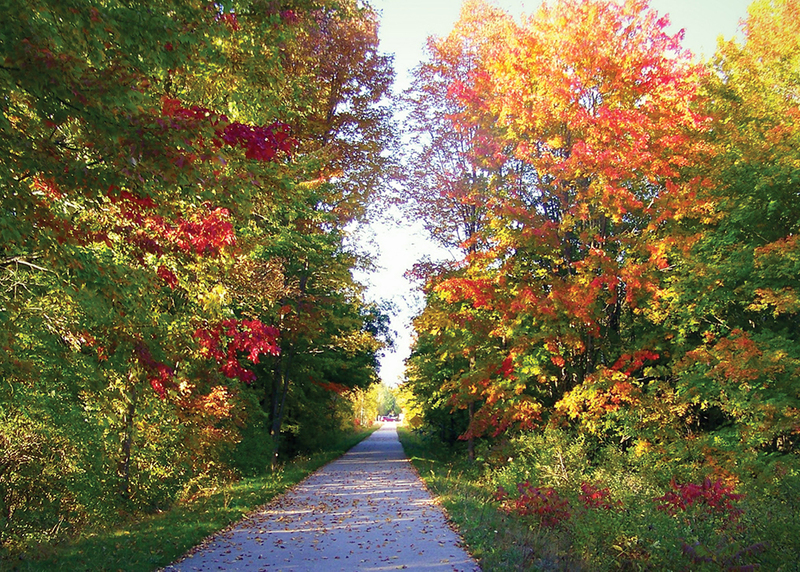 Bean photo shoot: The 22-mile Betsie Valley Trail extends from Frankfort to Thompsonville (through Beulah), and is your access point for biking, hiking, and taking in the fall up north in all its glory. Before you start singing “Hang On Sloopy” in protest, hear us out. 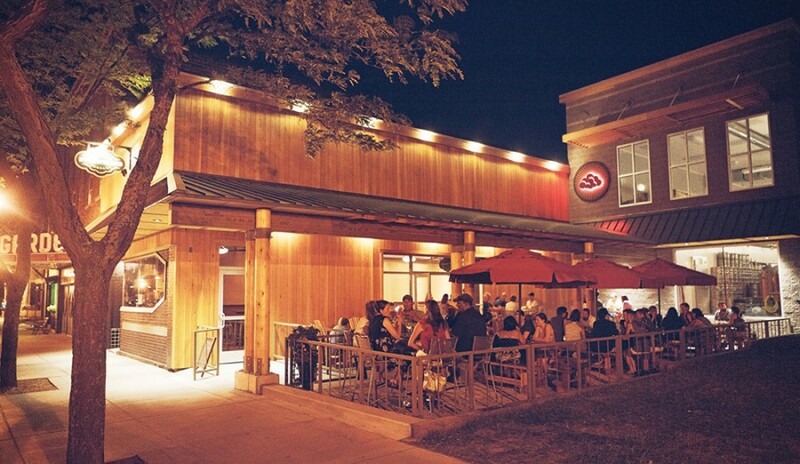 Ann Arbor is home to much more than the University-That-Shall-Not-Be-Named. Situated about halfway between Cincinnati and Benzie County, that puts it in prime position for a very important thing—lunch. Plus, the city has plenty of attractions to make you forget you still have four hours left behind the wheel. 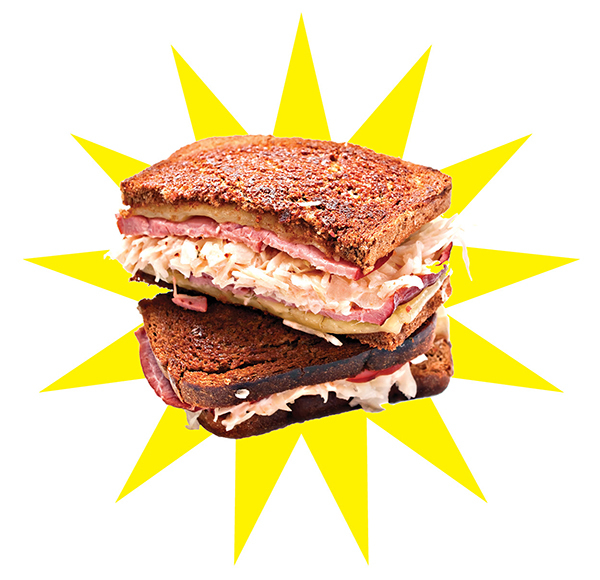 Leave home in the morning so you have an excuse to visit Zingerman’s Deli and sit down for their renowned Reuben. 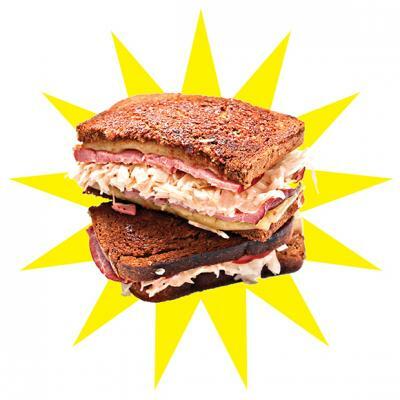 Work off your trip to sandwich heaven with a visit to the Hands-On Museum: Its 250 tactile, discipline-spanning exhibits dedicated to science and exploration provide a great break, especially if you’re traveling with kids. But don’t spend too much time in Ann Arbor: You might fall in love with it and have to have a really uncomfortable talk with Columbus.